Having said so, I do not think looking for the secret fomula to compute your possible memory usage is the right approach to this problem. The reasons are – this formula is very complex nowadays and what is even more important “theoretically possible” maximum it provides have nothing to do with real memory consumptions. In fact typical server with 8GB of memory will often run with maximum theoretical memory usage of 100GB or more. Furthermore there is no easy “overcommit factor” you can use – it really depends on application and configuration. Some applications will drive server to 10% of theoretical memory consumptions others only to 1%. So what could you do instead ? First take a look at global buffers which are allocated at start and always where – these are key_buffer_size, innodb_buffer_pool_size, innodb_additional_memory_pool_size, innodb_log_buffer_size, query_cache_size. If you’re using MyISAM seriously you can also add the size of Operation System cache you would like MySQL to use for your table. Take this number add to it number of memory Operation System and other applications need, add might be 32MB more for MySQL Server code and various small static buffers. This is memory which you can consider used when you just start MySQL Server. The rest of memory is available for connections. For exampe with 8GB server you might have everything listed adding up to 6GB, so you have 2GB left for your threads. Each thread connecting to MySQL server will needs its own buffers. About 256K is allocated at once even if thread is idle – they are used by default thread stack, net buffer etc. If transaction is started some more space can add up. Running small queries might only barely increase memory consumption for given thread, however if table will perform complex operations such as full table scans, sorts, or need temporary tables as much as read_buffer_size, sort_buffer_size, read_rnd_buffer_size, tmp_table_size of memory might be allocated. But they are only allocated upon the need and freed once given stage of query is done. Some of them are allocated as single chunk at once others, for example tmp_table_size is rather maximum amount of memory MySQL will allocate for this operation. Note it is more complicated than once may think – multiple buffers of the same type might be allocated for exampe to handle subqueries. For some special queries memory usage might be even larger – bulk inserts may allocate bulk_insert_buffer_size bytes of memory if done to MyISAM tables. myisam_sort_buffer_size used for ALTER TABLE, OPTIMIZE TABLE, REPAIR TABLE commands. Another approach you may take is to come up with amount of memory you want MySQL Server to consume at peak. This can be easily computed by memory needed for OS, File Cache and other applications. For 32bit envinronment you also should keep 32bit limits into account and probably limit “mysqld” size to about 2.5GB (exact number depens on a lot of factors). Now you can use “ps aux” to see VSZ – Virtual Memory allocated by MySQL process. You can also look at “Resident Memory” but I find it less helpful as it may down because of swapping – not what you would like to see. Monitor how the value changes so you know memory requirements with current settings and increase/decrease values appropriately. I do not pretend this to be complete list. On the contrary I’m quite sure I’ve missed something (drop me a note if you have something to add). But the main point is – there are a lot of memory consumers out where and trying to find peak possible usage for each is impractical – so my advice would be measure what you get in practice and how memory consumption reacts to changing various variables. For example you may find out increasing sort_buffer_size from 1MB to 4MB and 1000 max_connections increases peak memory consumption just 30MB not 3000MB as you might have counted. I have problem with mysql server. DELL R710, Memory :16GB, OS : Ubuntu server 11.04. I use Mysql server version 5.5. some table using engine MYISAM and other is INNODB. till now use for both of that type is running well. but when many user acces my web, this server become very very slow. i have about 400 user active. Here is example – You could have such server running with max_connections=1000 and myisam_sort_buffer_size=256M. If it happens so all connections will start to repair tables at the same time it will need 1000*256MB = 256GB of memory. In practice however you would not have more than 2-3 connections doing it at the same time so you happen to be fine. We have a really fantastics dating site serving 8000 logged in users. However the service goes down too often to call it stable. We have a montoring tool that states that we often hit the “max_connections” threshold (650) connections. 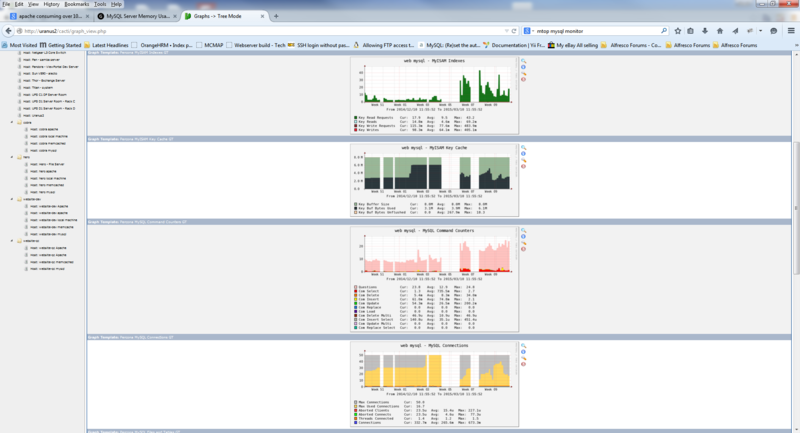 Cpu is fine (about 100% of 400% available, MPM and dual core reports 4 processors). We have 6Gb of physical memory available but since we run on 32 bit we cannot turn up the innodb_buffer_pool higher than 1.8G right? 2.4 kernel (cannot change to 2.6 because of internal politics). Tmp area is mounted on RAM disk. We only have innodb in the app. The application is designed in a way that if allowed we will have something like 1000+ db connections since every user clicks on a link, refreshes his/her browser every 10 secs or so. We cache alot but still we have db problems. a. The thing that I really, really would like to know is howto track down where the bottleneck is… I’ve read Peter Z two guides but cannot really convert the gained knowledge to solve our situation. Lesser questions but probably as well important. b. The question really is how do you determine the memory consumption per connection in average? c. Can we have a limit of 600 connections when every connection consumes X mb. If the answer to ‘b’ is 2mb then the total amount of memory would be something like 1800 + 2*600 = 3G right? To much to handle for 32 bit? Some stats at writing time (18:37 friday) System copes fine with these figures. key_buffer_size=32M # Only for MyISAM which isnt used. table_cache=512 # Default 64 was used before. innodb_thread_concurrency=64 # Default is 8 wich is a way to low. That was alot of text. Could someone please help us out a bit! ok well i have problems can you help me with that? Is “MyISAM buffers” stated in the “List of rarely considered MySQL Server Memory Requirements” from the key buffer? If so, would explain more about the difference? What’s the difference between innodb table cache and Memory pool? 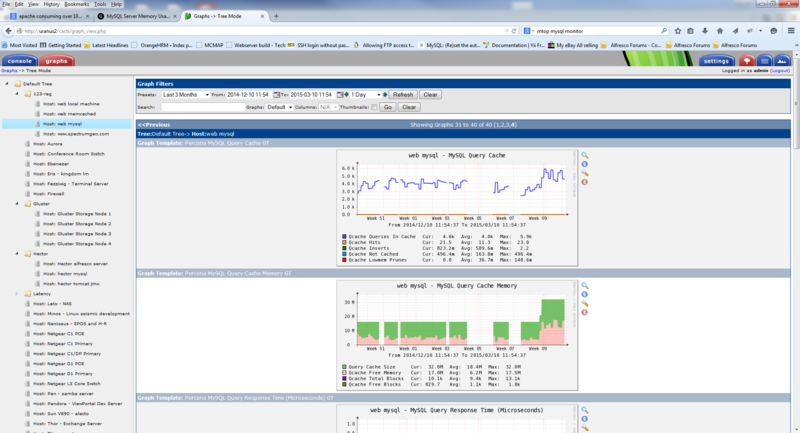 I’m running MySQL 5.1.33 for Solaris 8. The insert speed is about 2300 rows/sec at 240Kb/s. Is it the normal speed or par below the standard? I’m quite a newbie hence the question. Are there any easy to implement rules as to what paramaters to set based on server memory size and number/types of databases and tables? I have a 64GB server, innodb buffer pool set to 40GB or less, use innodb_flush_method = O_DIRECT, 2X8GB innodb log, and has 30000 connections with 20 thread pool worker threads. It ran out of free memory and got heavy swap at the same time OS cache is 12GB. What’s the possible reason the redhat linux 5 can’t use the 12GB cache, but use swap instead? Could you plz say that which configuration for mysql is the best for a server with 16GB memory, while we want to mysql not uses more than 12GB of all! I would like to run MySQL5.5.14 with InnoDB ONLY, plus PHP 5.2, Apache 2.2 and Memcached on the SAME box. My question is: how much RAM should i give to MySQL? 4GB? 6GB? 3GB? Please advise. Moses, please use the forums and don’t double-comment on more blog posts. So, how much RAM is needed for a database with a table of 1 billion records ? I have allocated memcache with MAXCONN=”256″ CACHESIZE=”256″. Problem i have is OS runs out of memory and kills mysql. I have noticed recently mysql using all connections whcih does not make sense as the site is not busy. 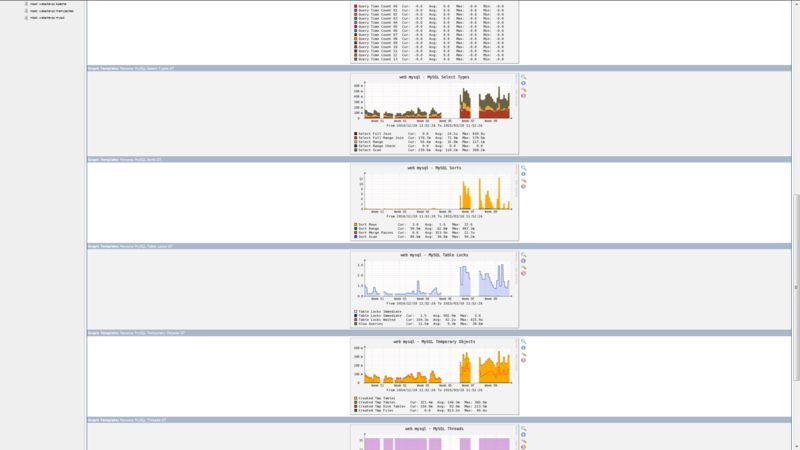 It gets used more often during lunch times, which is when apache consumes avg over 100mb per process. 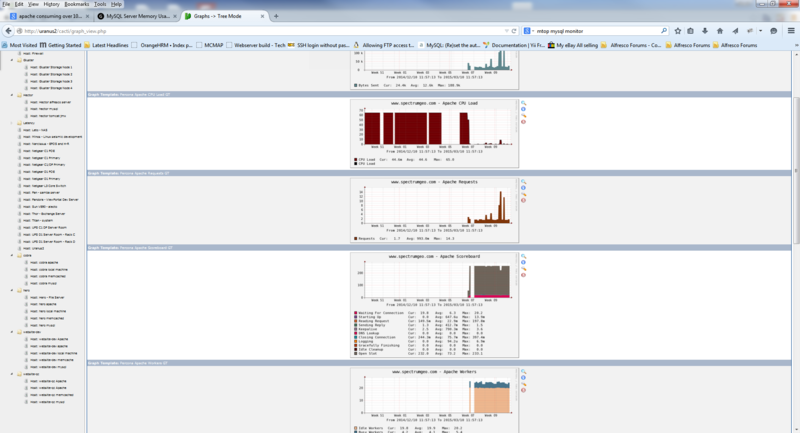 my server have 12 gb of ram and 20 % ie 2.4 GB allocated for mysql. i would like to know how much max_connections can i setup. If i set up huge number like 5000 what will happen?